Oh Pluto, Pluto... You may not be a planet anymore, but that doesn't mean we don't love you. Even while you look like a big moldy ball of mud in this image capture by Hubble, the most detailed to date. And here I was, thinking Pluto was this big blue ice sphere only good to make Caipirinhas and Mojitos. According to NASA, however, its color has changed. The hue shift happens over a two year period, in which the the ice of one pole get sun light, melts, and then refreezes on the other pole. 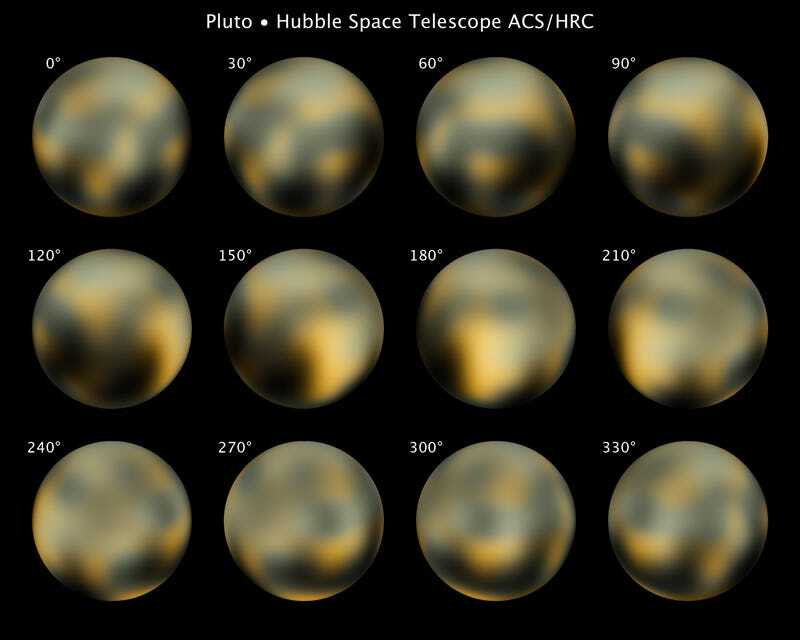 Quite the manic depressive non-planet, this Pluto. According to NASA," the overall color is believed to be a result of ultraviolet radiation from the distant sun breaking up methane that is present on Pluto's surface, leaving behind a dark and red carbon-rich residue."